Another number one for JCB , JCB’s range of telescopic wheel loaders are designed to provide supreme versatility in space-restricted areas but where superior performance, power, lift capacity and reach are still required, ideal for all livestock and arable applications. The JCB TM320S Agri is flagship in the range, designed for performance and productivity. There's a hugely powerful 145hp engine, permanent 4WD, 6- speed power shift transmission with torque lock, servo controls, Z bar linkage for huge tear-out and more. All JCB TM machines also boast a flow-sharing hydraulic system which allows two functions to be performed at the same time for reduced cycle times. For the versatility of a telescopic wheel loader with articulated steering, powerful loading, telescopic reach and a huge range of dedicated attachments, look no further than the range of JCB Telescopic wheeled loaders. 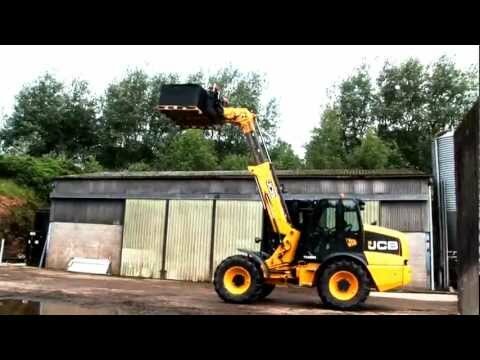 Oliver Landpower Ltd have had over 30 years’ experience with the JCB product, contact us to discuss your application and requirements and we will tailor a machine specification, attachments, Finance through JCB Finance and aftersales package to match. Demonstration machines are always available to see for your-self why JCB is number 1 and also a large inventory of quality pre-owned machines.